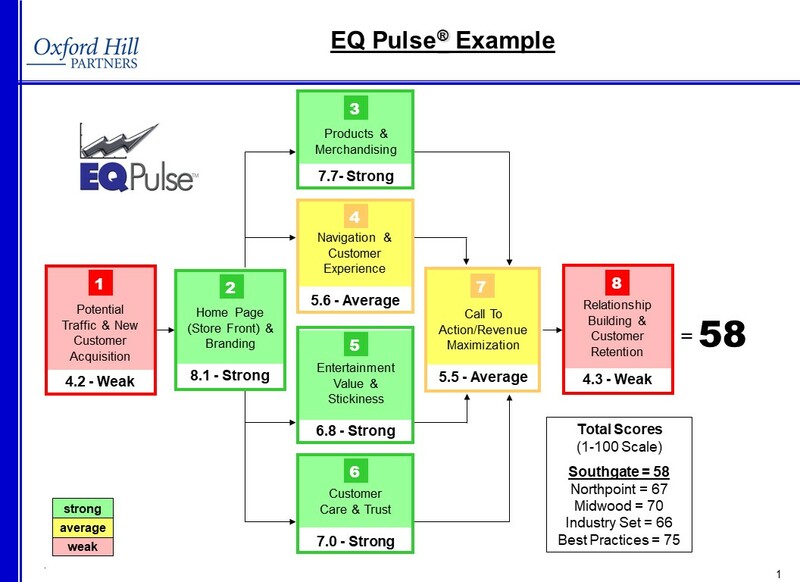 EQ Pulse® is our patented competitive benchmarking process that explores your website, social media, mobile, content, video, e-mail, search, and e-commerce activities across over 150 digital best practices – bucketed into what we’ve coined as digital’s eight “strategic revenue driver” categories – and then scores/benchmarks each of them vs. your key competitors and industry best practices…identifying strengths, weaknesses, opportunities, and risks and extracting unique customer insight. We then provide actionable, revenue building and customer engagement go forward strategies and creative go forward digital recommendations…all consistent with your overall business strategies. EQ Pulse® assessments have been conducted on the digital activities of well over 150 of the largest and most popular brands in the world.